Tulsa Jazz.Com Presents The Booker Gillespie Trio at Kirin Restaurant Friday July 6th 2018! The Booker Gillespie Trio Live In Concert! Enjoy a night of wonderful evening jazz listening to the smooth, velvety, voice of Booker Gillespie accompanied by the incredible Frank Brown on guitar and the magnificent Jim Bates on upright bass! We can’t think of a better way to spend an evening than listening to some of your Jazz and Blues favorites performed by this incredibly talented trio while treating yourself to Kirin’s delicious menu offerings and wonderful beverage selection! Want to feel like the lovely lady in the picture? 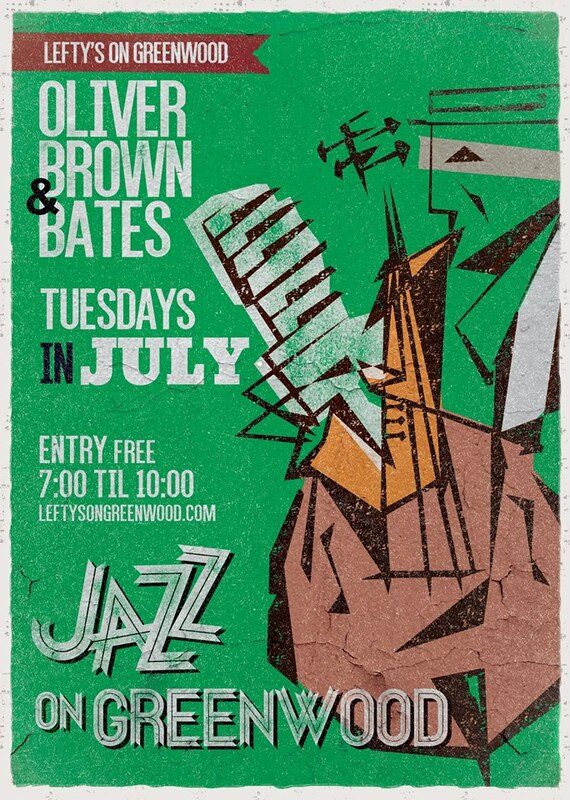 Then head over to Lefty’s tonight and enjoy the incredible talents of Stephanie Oliver, Frank Brown, and Jim Bates as they “heat up” the place performing many of your jazz favorites and more. Show starts at 7 pm! Guitarist Pat Kelly is tonight’s special guest, this is a must see show! 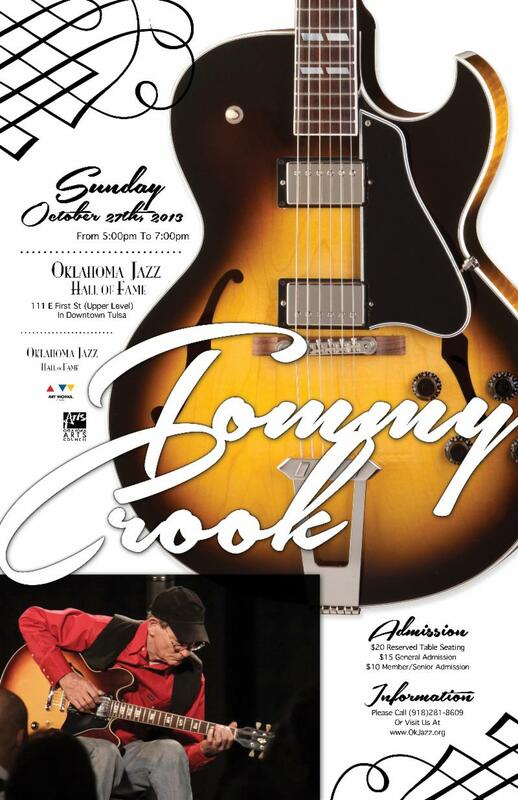 Tulsa guitar legend Tommy Crook, honored as an inductee into both the Oklahoma Jazz Hall of Fame and the Oklahoma Music Hall of Fame, returns to the Jazz Depot Sunday. Scheduled to appear with him is the veteran bassist Jim Bates. If that’s true, then he’s been making Crook look good for quite some time. The two began playing together back in the mid-1960s as members of a dance outfit led by the nationally known western-swing drummer and nightclub performer Paul McGhee. Crook, who’d already been playing for years, was then holding down a day job at Tulsa’s Guitar House. “I’d just turned 20 years old, and my wife was pregnant,” he recalled. “Since we were going to have our first child, I needed a way to supplement my income, so I started playing six nights a week with Paul McGhee’s band, which had Paul on drums, Bates on bass, Tommy Lokey on trumpet, Gayle Williamson playing piano, and me on guitar. We also had Ken Downing on saxophone and, sometimes, Kenny Quinn, who played trombone. In 1968, Crook began performing solo, and a couple of years later he signed a two-week contract to play in the Inkwell Club at the Sheraton Hotel near Tulsa International Airport. The job lasted some 13 years, and it helped cement Crook’s stature as a major Tulsa star. That’s the approach he plans to bring to the Jazz Depot Sunday. 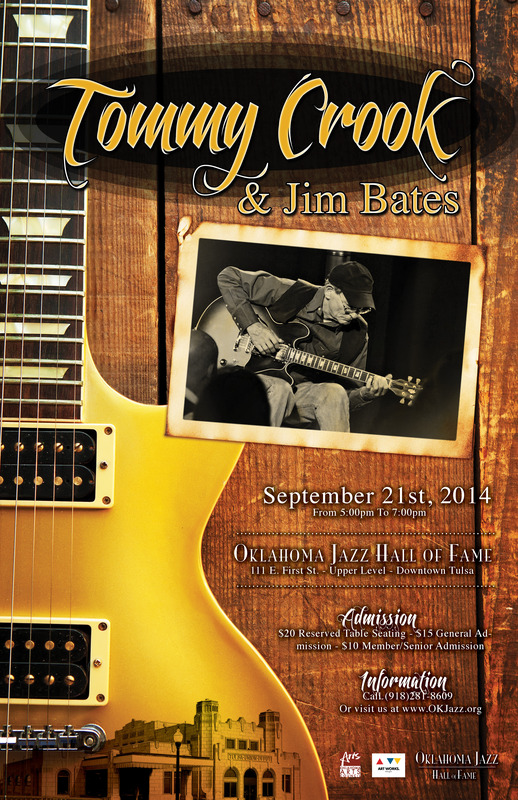 Tommy Crook, with Jim Bates on bass, is set to begin at 5 p.m. Sunday, September 21, at the Oklahoma Jazz Hall of Fame, located in downtown Tulsa’s Jazz Depot, 111 E. First St. The show is ta part of the Jazz Hall’s 2014 Autumn Concert Series. Those happy to have the legendary guitar player Tommy Crook doing a whole show in a listening environment like the Jazz Depot should know that they haveOklahoma Jazz Hall of Fame CEO Jason McIntosh to thank. After decades of playing five and six nights a week all over the area, Crook prefers to do private parties and other low-profile gigs. But McIntosh’s perseverance finally won him over. Crook says that he and Bates started playing together in the 1960s, when they were in a band fronted by the jazz and western-swing drummer Paul McGhee and booked by longtime music promoter and bandleader Sammy Pagna. “Sammy kept a lot of musicians working,” Crook recalls. “He had all the motels and country clubs and for this area, Texas-Kansas-Oklahoma, he had the Holiday Inn circuit. A group came into the club at a Holiday Inn for two weeks, and then they moved on to the next Holiday Inn, and somebody came in behind them for two weeks. Like Bates, Crook started earning his musical reputation early. He was playing a guitar well before he started elementary school, and as a pre-teen he played several times on television with western-swing greats Hank Thompson and Leon McAuliffe. Young Crook even worked dates with country star Porter Wagoner. 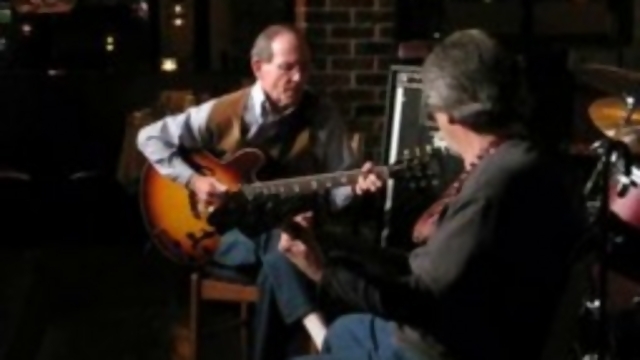 Although Crook downplays the endorsement, Nashville superstar Chet Atkins is one of many musicians and music lovers who have praised his talent over the years. Those who come to his Sunday show will hear him play “with a lot more freedom,” he says, thanks to the addition of Bates. “I got away with doing that one-man-band thing, with electric drums and [two] bass strings on my guitar, for about 30 years. That was neat and cool and it made me a lot of money – well, I’ll take that back. It kept me from having to get a job.” He laughs. “But it was kind of confining, because I only had four guitar strings. There are a lot of little old tricky fun things that I’ve stolen from Jerry Reed, and Chet – everybody steals from everybody – but I couldn’t do them on a four-string guitar. If I started playing single-string, the melody’s gone, and the rhythm section’s gone. Tommy Crook, with bassist Jim Bates, is set to begin at 5:00p.m. 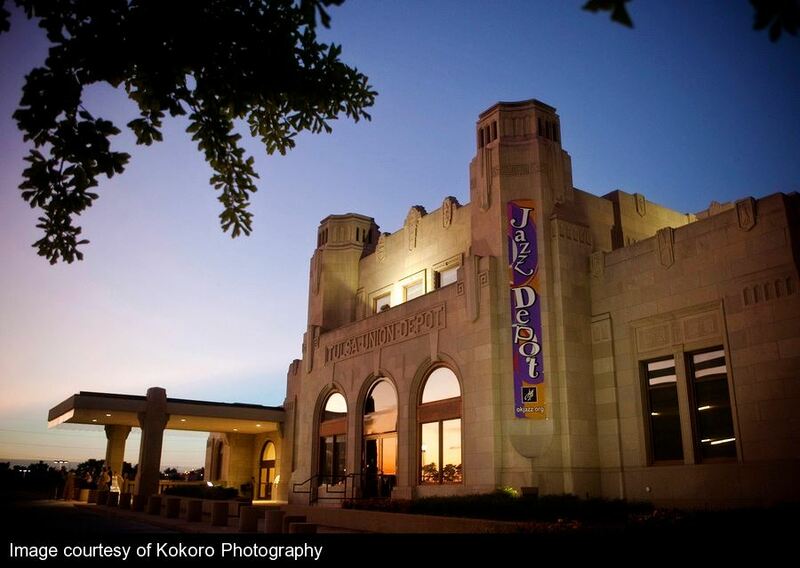 Sunday, Oct. 27 at the Oklahoma Jazz Hall of Fame, located in downtown Tulsa’s Jazz Depot, 111 E. First Street. Tickets can be purchased at the depot, fromwww.myticketoffice.com, or by calling Bettie Downing at 918-281-8609. General admission is $15, reserved table seating $20. Seniors and Jazz Hall members are admitted for $10, and high school and junior high students for $5.